If you’re like most nutrition-minded shoppers, the word “healthy” on the front of a package can be a big draw. “When you’re stuck in a situation where processed foods are the only thing available to you, it can be helpful to know which foods are healthier than others,” says Dr. Walter Willett, chair of the department of nutrition at the Harvard T.H. Chan School of Public Health. Yet these days you’re on shaky nutritional ground if you rely on front-of-package claims like “healthy” and “natural” to determine which soup, sauce, cereal (or other canned, bottled, boxed, or bagged food) is the best choice. In 2015 Dr. Willett was one of a dozen nutrition experts to notify the Food and Drug Administration that its definition of “healthy” was out of date and could lead consumers in the wrong direction. They petitioned the FDA to redefine “healthy,” and in September 2016 the agency reported that it was doing so the FDA is also working on defining the term “natural” as well. “Healthy” became a selling point a quarter of a century ago, when the balance of evidence indicated that what we eat plays an important role in determining how healthy we are. In those days, the major focus was on diet and heart disease, and public health officials emphasized reducing fat intake to keep our arteries open, and controlling sodium to keep our blood pressure in check. In the early 1990s, the FDA ruled that food manufacturers could use the term “healthy” on the front of a package as long as the contents contained less than a specified amount of both sodium and fat per serving. Since then, research has determined that diets rich in unsaturated fats — those found in nuts, seeds, and fish — may actually reduce the risk cardiovascular disease and diabetes. Research has also shown that eating a lot of refined carbohydrates — which were often added to low-fat foods as flavor enhancers — may increase the risk of those conditions. The experts who crafted the 2015-2020 Dietary Recommendations for Americans advised removing the limit on total fat calories. Instead, the new recommendations limit only trans and saturated fats (to 10% of calories), added sugars (to 10% of calories), and sodium (to 2,300 grams per day). Nutrition Facts labeling is also being updated to reflect the recent dietary recommendations. 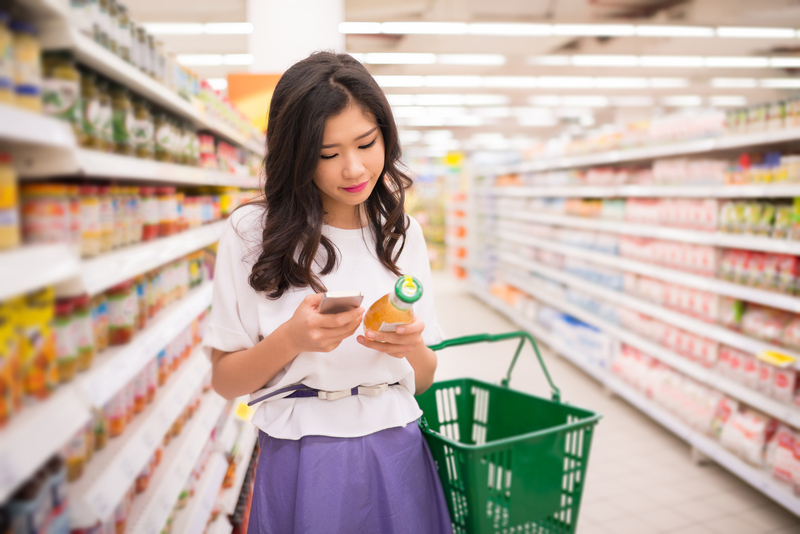 By July 26, 2018, most food packages will display an updated Nutrition Facts box that will include the amount of added sugars—a source of empty calories. They will also include realistic serving sizes, and will no longer single out calories from fat. Trust, but verify. If the front of the package says “healthy,” check the Nutrition Facts on the back to make sure you’re not getting too many calories from sugars. Remember: each gram of sugar has four calories. Do the math. The serving size on the package is likely to be an underestimate of what you’ll eat. For a more realistic idea of your potential calorie intake, multiply the number of calories in a single serving by the number of servings in the package. Then estimate how much of the package you’re likely to consume. For example, a container of hummus may have 17 servings at 35 calories each. If you usually use a fifth of the container in a sandwich wrap, you’ll be getting about 120 calories. This approach works for other ingredients like sugar and sodium. If it sounds daunting, turn to the calculator app on your smartphone. Cut back on packaged foods. If you make your own sauces, dressings, and soups from fresh produce, spices, and vegetable oils, you’ll have more assurance that you’re eating for good health — and you’ll probably get better flavors in the bargain. Food trends through the years: A mixed bag for heart health? Could lack of sleep trigger a food “addiction”? Labeling requirements can definitely be tricky, as you mention. When combined with date code labels, we can gather even more information to help us make better decisions.